Mugen Big Bore Front Damper Spring Set. 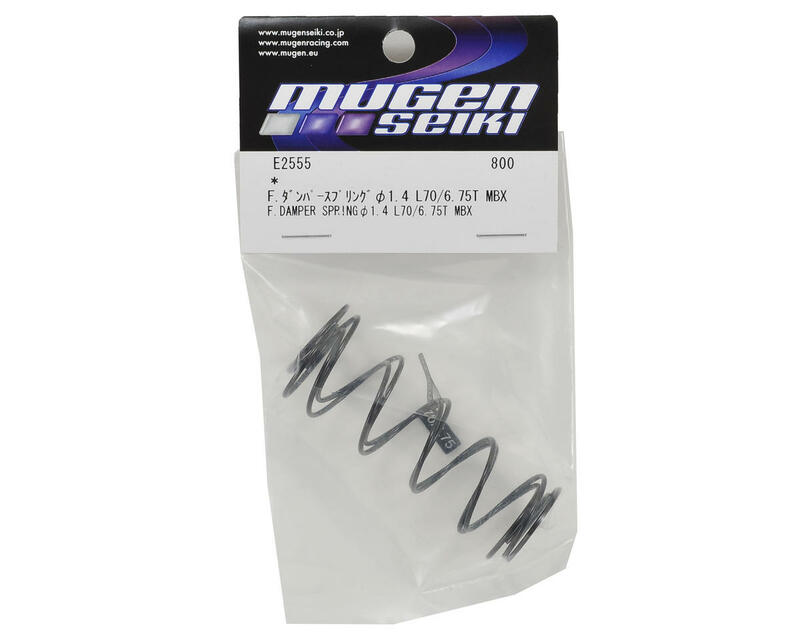 Mugen's 1.4mm shock springs help to reduce the car-roll and pitching generated by steering and throttle input compared to the previous 1.5 and 1.6 springs. This helps to keep the car flatter in the air and more stable on bumpy tracks. Smaller diameter wire also creates a lighter spring with a lower turn count than springs made with larger diameter wire. 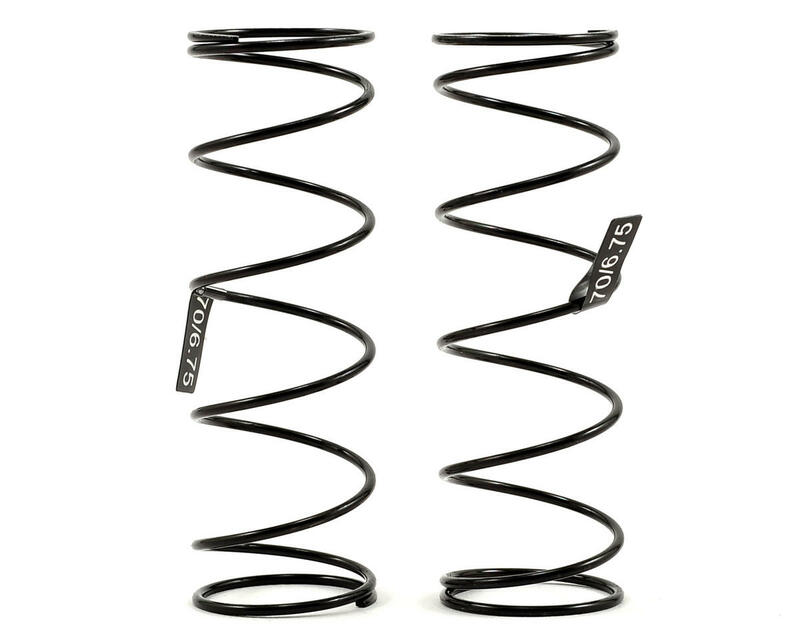 These 6.75 turn 70mm springs are compatible with the full range of MBX7R vehicles equipped with 16mm shocks, but see the chart below for a full list of spring rates, and recommended applications.